The feet are the most abused parts of the human body. From regular activities such as walking and running to more intense actions such as dancing and playing sports, the feet consistently absorb the force generated by body weight and gravity combined. And without proper support, your feet will be overwhelmed by the constant stress. This will lead to arch pain or plantar fasciitis–a very common condition affecting the plantar fascia that can be difficult to treat if not looked after properly. Your feet don’t even have to be hurting to cause some of these issues. 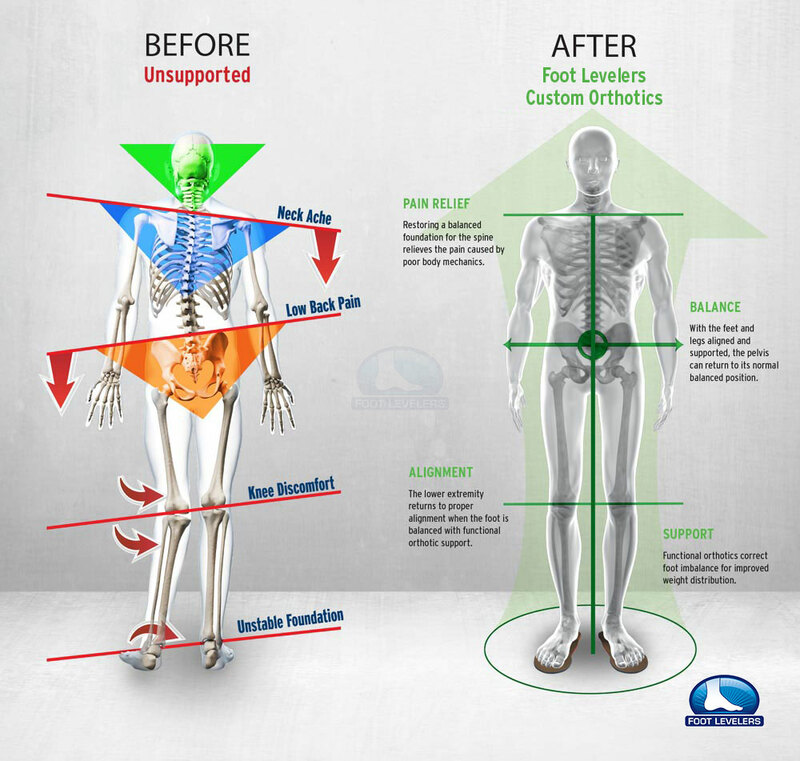 For nearly 70 years, Foot Levelers has been making custom orthotics that are clinically proven to help reduce pain and improve whole-body wellness by balancing the body from the ground up. Using Foot Levelers 3 Arch Advantage, you get maximum support in all three arches, providing a solid foundation for your body, your kinetic chain. A foot scan or impression shows how imbalances in the feet lead to problems throughout your body. The orthotics are then made off your foot scan or impression. Only Foot Levelers custom orthotics support all 3 arches of the foot. Your arches give the foot strength to support the body in a balanced fashion. Balancing your foundation can help relieve pain and avoid future issues. Ask your doctor about getting scanned. Our solution is to provide West Houston and the surrounding communities the very best support by implementing Foot Levelers 3 Arch Advantage into our practice.